This is a post I originally published in October 2017, although much of the information has changed since then. 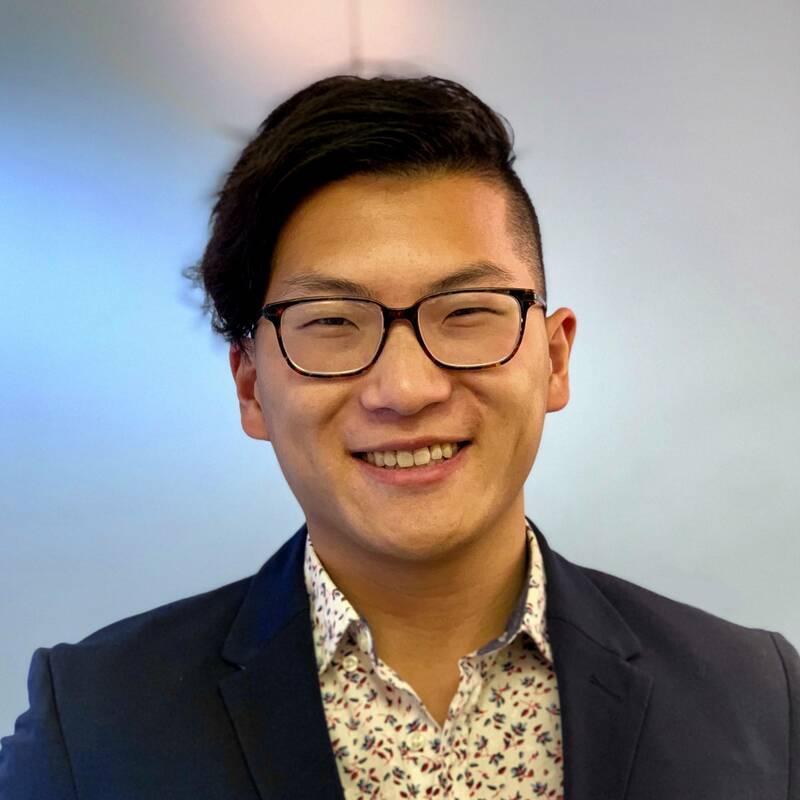 Here’s an update for 2019. The American Express Platinum Card and the Business Platinum Card are marketed as premium travel rewards cards, and one of the benefits that make them worth their salt is the airport lounge access that cardholders can enjoy. However, the lounge access rules on these cards can get quite confusing to people trying to make use of these benefits, so I thought it'd be helpful to run through the eligibility rules, access fees, and guesting privileges. It's definitely more complicated than it needs to be, so hopefully you'll be able to use this article as your one-stop shop on making the most of your lounge access benefits on the Canadian-issued Amex Platinum cards. I wrote an in-depth guide to Priority Pass a while back, so read up on that if you want more details about the program itself. 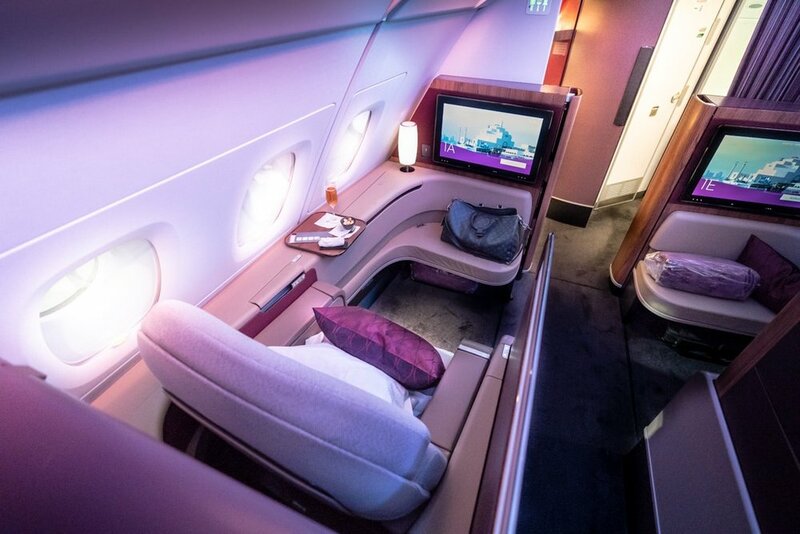 But the big idea is that both the Platinum Card and the Business Platinum Card provide you with a complimentary Priority Pass Select membership, which grants free unlimited access to worldwide Priority Pass lounges, along with free guesting privileges for two guests per lounge visit. As of the time of writing, the “prevailing retail rate” seems to be US$32 for every additional guest, which will be automatically billed to your credit card. There's over 1,000 Priority Pass lounges worldwide, so this perk should guarantee you some form of lounge access on the vast majority of your travels, especially if you don’t always fly in business class. If you're a Platinum or Business Platinum cardholder, be sure to get in the habit of looking up which Priority Pass lounges you'll be able to visit prior to your trip! In addition to lounges, there’s also a few airports (mainly in the US) where Priority Pass has partnered up with airport restaurants in order to give members an allowance off their bill. 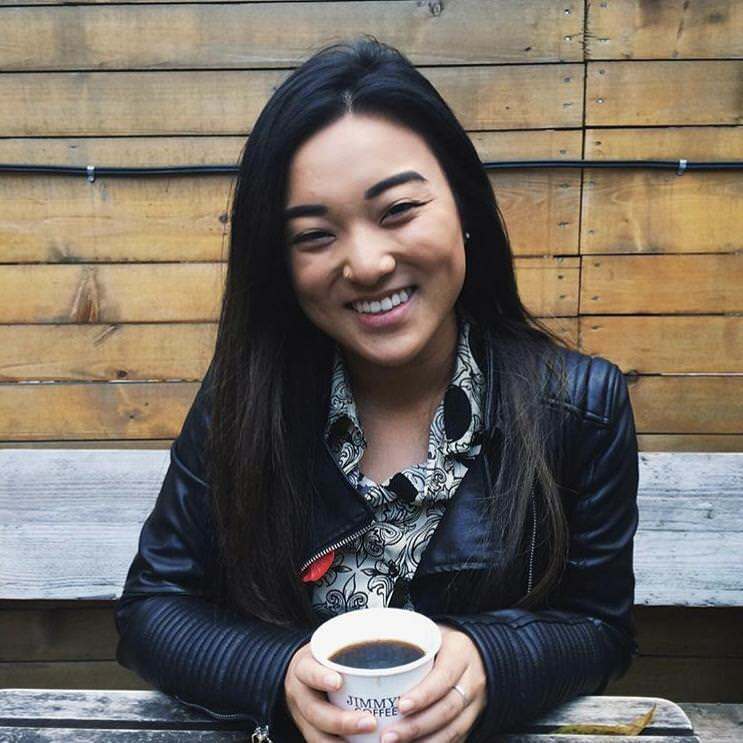 You can get excellent value from this, particularly if you “double-dip” your allowance by adding a guest, or hit up multiple such establishments within the same airport. For example, at Portland International Airport, you can visit the House Spirits Distillery for its whiskey tasting menu, the Capers Cafe Le Bar for some lunch, and the Capers Market for some jams and spreads to bring home with you. By maximizing your guest allowance at each venue, you can unlock US$168 in value, and if you go along with a partner who also has a Priority Pass membership, that’ll get you US$336 in value! If you hold either the Platinum Card or the Business Platinum Card, you have unlimited access to Plaza Premium lounges within Canada and internationally, for yourself and either one guest or up to three family members. What are Plaza Premium lounges? While Priority Pass is a global lounge network, Plaza Premium is more like a "franchise" or a "brand" of airport lounges, which started in Hong Kong back in the 1990s. You can think of it like the Maple Leaf Lounges, if the Maple Leaf Lounge "brand" didn't have an affiliation with Air Canada and instead just set up its own lounges in various airports. How good are the Canadian Plaza Premium lounges? Well, they're certainly not luxurious by any stretch of the imagination, but they're solid enough lounges and usually stack up against Air Canada's Maple Leaf Lounges quite well. For example, while neither lounge in Toronto Pearson Terminal 1's transborder departure hall can be considered world-class, the Plaza Premium lounge at least serves hot food for dinner, whereas the Maple Leaf Lounge scrapes by on chips and salsa. Internationally, Plaza Premium lounges can be quite competitive indeed. I once visited the Plaza Premium Arrivals Lounge at London Heathrow, where there was even a complimentary à la carte lunch menu! American Express is a global company, and in order to reinforce the premium image of their Platinum line of credit cards, they've opened special lounges in airports worldwide specifically for Platinum cardholders, known as Centurion Lounges. Holders of Platinum or Business Platinum products, issued in any country, can access these lounges. 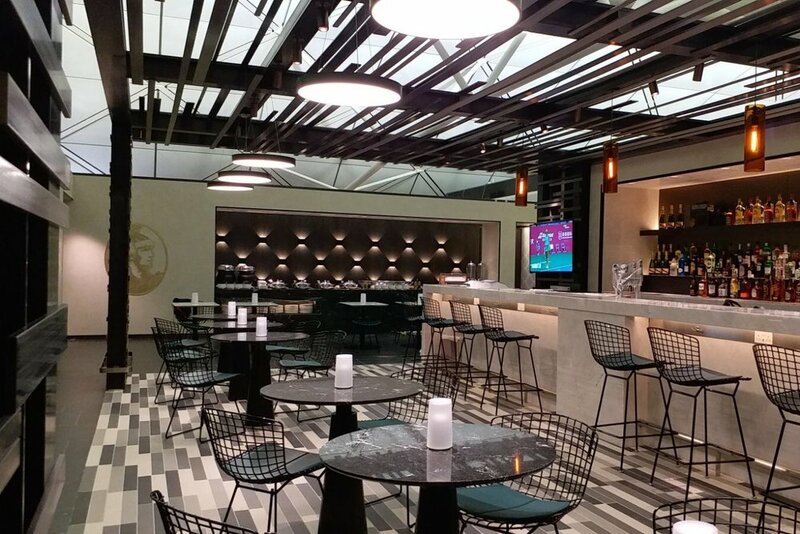 Most of the Centurion Lounges are located in the US, although Amex has recently opened one in Hong Kong, and have plans to launch many more Centurion Lounges globally over the coming years. 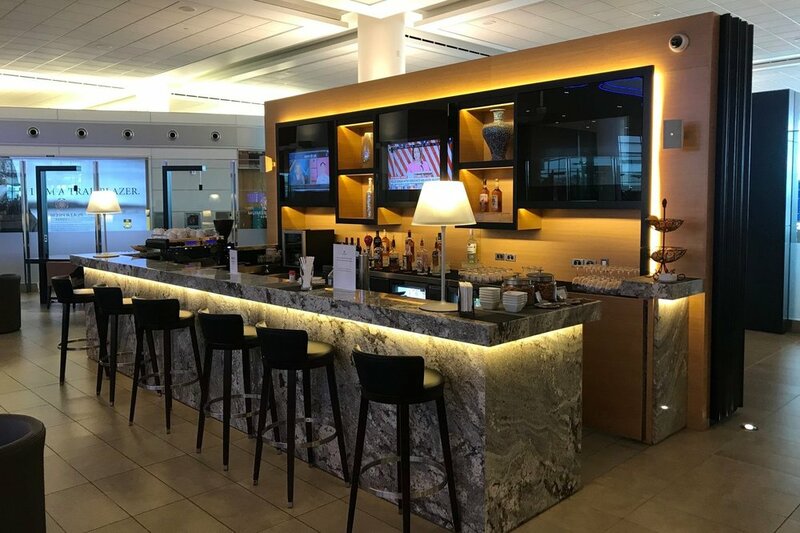 Alongside some of the top-tier Priority Pass locations, the Centurion Lounges are probably some of the best lounges that your Platinum credit card can unlock. In general, you can expect top-quality food and drink inspired by regional tastes and stylish interiors drawn from local design principles. Centurion Lounges are typically very pleasant places to spend time and relax prior to your flight. The best part about the Centurion Lounge benefit is the generous guest policy: each Platinum or Business Platinum cardholder is allowed to bring in two guests for free! This is fantastic for families travelling together, although the downside is that the Centurion Lounges can get rather crowded during the peak hours of the day. In addition to Centurion Lounges, there are also a handful of lounges around the world that are operated under the American Express banner, but are not part of the Centurion Lounge network. You can find the full list of these lounges on a dedicated page on the American Express website. I’ve visited a couple of them, including the American Express Lounge by Pontus in Stockholm Arlanda Airport, as well as the location in Buenos Aires. The Pontus lounge in Stockholm was quite memorable in particular, since it offered a generous complimentary à la carte dining option to lounge guests, despite being housed in a makeshift partitioned-off area within an airport restaurant. Meanwhile, I recall that the Buenos Aires Amex lounge had ice-cream sandwiches as well as plenty of liquor, but it didn’t have any hot food, so we soon left in favour of the Star Alliance Lounge next door (also available on Priority Pass). There are about a dozen locations in total, mostly spread throughout Latin America, India, and Australia, with the odd one out in Sweden. 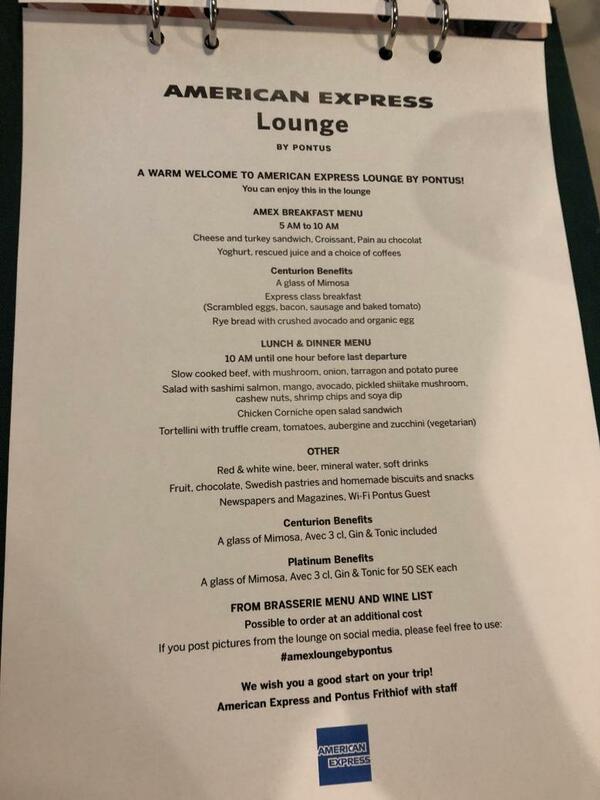 In general, I’d expect the international American Express lounges to be relatively high-quality lounges, although perhaps a step below the flagship Centurion Lounges in the US and Hong Kong. Platinum and Business Platinum cardholders are allowed to bring at least one guest into the international American Express lounges – the exact guest policy varies from location to location. For example, while the Stockholm location allows one guest only, the Buenos Aires lounge actually allows one complimentary guest plus any children under the age of 16. 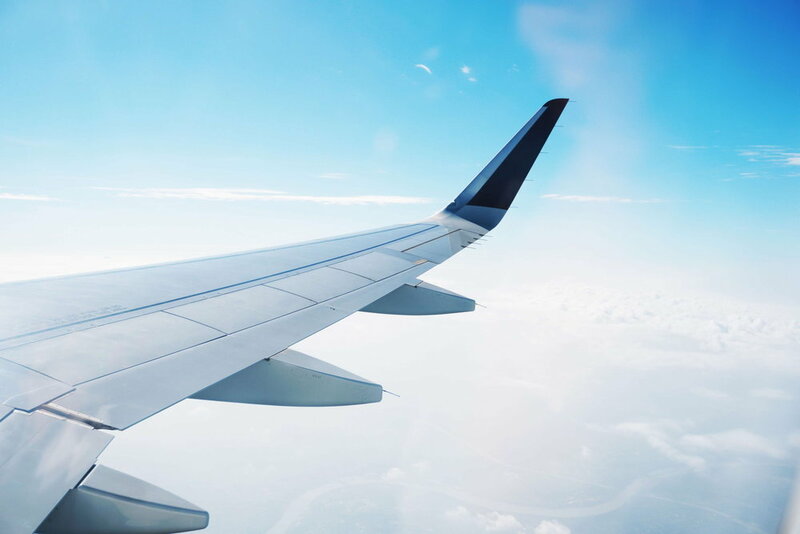 American Express Platinum cardholders enjoy complimentary access to Delta Sky Clubs when in possession of a same-day boarding pass with Delta Air Lines. 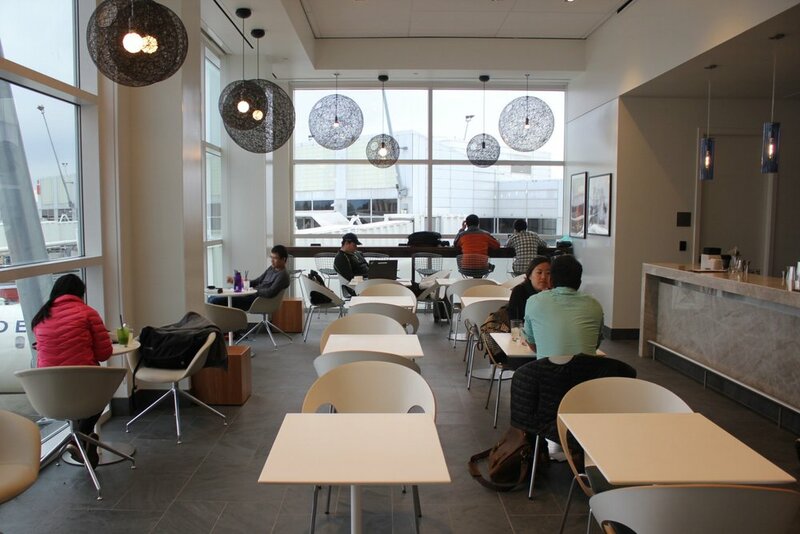 All but two Delta Sky Club locations (Santiago and Tokyo) are in the United States, and they generally offer some light snacks, beverages, and lighter food options, as well as TV, newspapers and magazines, and free wi-fi. In general, Delta Sky Clubs aren’t going to blow your socks off, but are pleasant enough places to kill some time before your flight. It seems safe to say that as a Platinum cardholder accessing a Delta Sky Club before your Delta flight, you’re not entitled to bring in any guests for free, but rather have the option of paying for their access at US$29 per person. Note that any guests must also be travelling on a Delta flight departing on the same day. These are basically additional contracts that Amex has secured in order to provide high-quality lounge access at a few airports where Priority Pass’s coverage is relatively lacking. Notably, Platinum cardholders only have access to the Escape Lounge locations in the US, and not the ones in the UK. With so many different lounge providers, the lounge access policies on the American Express Platinum Card and Business Platinum Card are definitely more opaque than they need to be. I’d recommend keeping the American Express Lounge Finder around as a handy bookmark, which should help you identify the lounges at a certain airport that you have access to as a Platinum cardholder, as well as the relevant access and guesting rules. Older PostAmex Shop Small Promotion: Get Your Free Coffee!